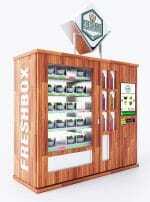 SALAD VENDING MACHINES! 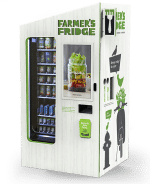 SALAD VENDING MACHINE SUPPLIERS listed here. Fresh Salads for your breakroom. 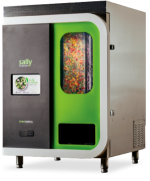 Yes, they are salad vending machines! Please contact these vending machine SUPPLIERS direct for more information about the machines they offer. Since 2009 Digital Media Vending has been designing and building custom vending machines. We create wall mounted and floor standing vending machines. Dispense mechanisms include elevators and adjustable conveyor belts, hanger trays and spirals. Touchscreens, remote management, and video analytics are optional. Automated retail is the future, let us bring your concept to life. Visit our website: Custom Vending Machines.